I want people to come to Austin, enjoy themselves, and start planning their return. I'm proud of my hometown and I want others to be able to enjoy it like I have for 38 years. I was planning on going to the first race but the number one reason I didn't was all the negativity from you and your friend on this and the other forum. The roads sucked, the views sucked, nothing was done, the price, the clouds were ugly. Day after day of it became a big turnoff. Then when I heard about the price gouging by the hotels after that race I would rather just go to Canada. Edited by Watkins74, 05 August 2015 - 20:04. People were always asking us questions about how to do this or that, what the transportation situation was looking like, etc, because they couldn't get info from COTA. We gave them what we could get. There wasn't a lot to go on most of the time. COTA wasn't putting much out, and we got what info we could and did the best we could. We didn't write that script. COTA did (and the hotels). We never advised people not to come, and we also told them about all the positive reasons we could think of that they should come, down to what restaurants to eat at, what watering holes to cool off in, mountain bike trails to ride, and so much more. We reported the positive and the negative, as we always have. I hope you & everyone else does come to future races. Did you ever end up getting down here for one? Did you ever end up going to Austin? I've been there every year. What I've discovered is you have to stay a step ahead of the hotel business. I've always booked my hotels when the tentative F1 schedule is released. The hotels do not inflate the rates until the official F1 schedule is released. One year, my buddy and I paid less than $80/night for the entire weekend. The other option you could consider is renting a house on Air BnB or VRBO. Some people charge normal rates. You just have to do your homework. Hope you are able to make it to the GP sometime. It's a fantastic event and you can avoid the price gouging with a little bit of homework. Another example is parking in people's lawns right next to the track supplied parking. I paid $30 for the entire weekend last year instead of $200. Edited by AustinF1, 06 August 2015 - 01:14. It's that time of year again. 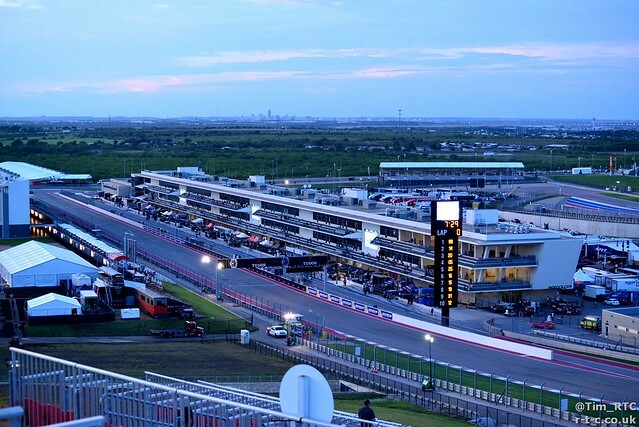 COTA is reducing its USGP ticket prices with a Groupon offering. Edited by AustinF1, 16 September 2015 - 15:40. Not really. But people haven't really started promoting those kinds of things yet. I haven't heard of anything regarding the fan forum. I've been to all of them. They're a good time. Last year's was good, but the venue wasn't exactly ideal. I know Olly did his best with what he had though. Parking is silly money, but it seems to be pretty standard in the US to pay to park for all events. Cost to park for the FIA WEC weekend and even the drag racing events we went to had paid parking which you wouldn't get in the UK at smaller races (I think the Silverstone F1 is the only UK event I have ever had to pay for parking at). Are American fans really going to show up because an American is going to finish last? I like that they mention the dates, but they don't tell you that the tickets aren't for race day. I would add that it's an American that most people have never heard of. Even the vast majority of American racing fans don't know who Rossi is. But otoh, it certainly can't hurt. Edited by AustinF1, 18 September 2015 - 12:56. Seriously I would be one of those that would be willing to go to see him race but that is a very, very small sample. Perhaps only a few hundred of us. At this point I can't get away for the week and I don't want to fly in for a couple of days and fly out. For the price if I can't do the full meal deal I'm not willing to pony up the cash at this point. For that kind of dough I could go to Silverstone or Spa. F1 fans who are Costco members can now grab their USGP tickets in the store. $87.99 for Sunday-only. Haha yeah, I just saw that. Facebook is weird. But then, so is COTA. How come Toyota have been so off the pace in LMP1 this year? Is it due to the design of the car? Tempting, but I'm going to hold out and see if I can get better tickets for less money ($0). 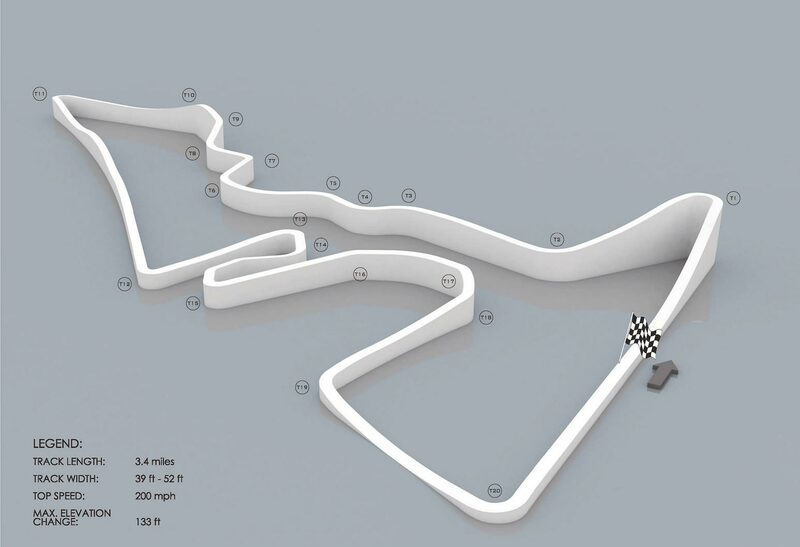 To continue our discussion of COTA from the Russian GP thread...here are a couple of pics of an earlier layout model we were shown early on at a meeting with COTA reps. This one was different from what we were discussing, but faster than what we have now. Note in the second shot there's an illustration next to the model that shows a different layout as well. In that one you can see a slower T7 (compared to now), but a faster T8 & 9. Many times when this comes up, people don't believe me, but here you go. T1 was also sharper, with a longer run down to T2, which would have made T2 tighter also, with a faster and more challenging entry. T18 was tighter, in turn making T19 tighter as well, all of which would have likely made for good fun. ETA: Here's what I believe was the fastest T7-10 design that I saw (the one I referred to in the Russian GP thread). T8 & 9 are much faster than what you see now, and 15-18 had a faster entry and decreasing radius rather than being slower in and faster out as you see now. Edited by AustinF1, 07 October 2015 - 19:14. Wow. I had forgotten about this pic. Apparently Tilke had made a concept of his own and pitched it early on to Hellmund. By all accounts it was pretty much what you'd expect of Tilke. It was clockwise and barely utilized the current T1 hill at all. Here's a glimpse of the part of the track closest to what is now T19, 20, and the main grandstand. I'll see if I can find any more of this concept. Edited by AustinF1, 07 October 2015 - 18:34. Pretty normal though. Tilke for example complained many times that the FIA is restricting quite a lot, which caused very often that he has to change his plans. Edited by Marklar, 07 October 2015 - 19:46. Edited by AustinF1, 09 October 2015 - 15:35. Yes its so annoying - its like the FIA are afraid of challenging iconic corners. Fine, put 2+ miles of runoff, but have a good corner. I think the F.I.A is possibly interfering too much. I think it may have been mentioned elsewhere (AustinF1?) that the F.I.A wouldn't approve a particular fast corner because although there was adequate run-off, the crowds/grandstands were too distant because of it. ^^^I don;t know of that situation occurring here in Austin, but it could have happened somewhere else. 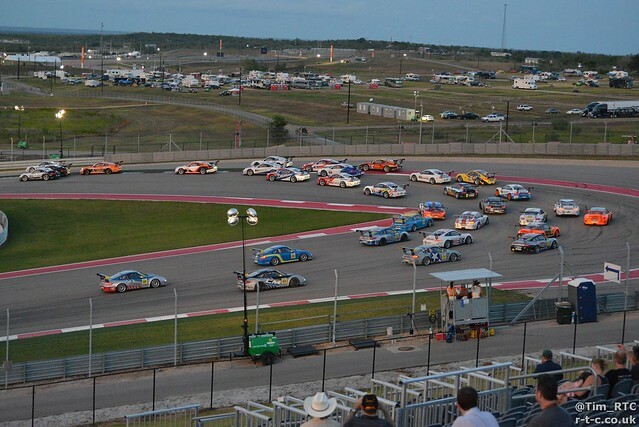 In Austin, their protestations were always about lack of runoff/too much speed for a certain type of corner afaik. I'm going to have to do some research now to see if that actually occurred or if it was a bad dream. Yep. I never understood why that circuit was maligned - simple, lots of laps, always good racing (without the need for DRS), and in one of the world's most iconic racing venues. Its what F1 should have been about. accidents have led to reassessments of best practice in circuit design. “I like to get spectators as close as we can to the circuit,” he says. “You can start off with big run-off areas but they’re seldom used. Edited by OO7, 12 October 2015 - 10:53. Yeah, I remember him talking about that after visiting Mexico City. He doesn't refer to Austin in the context that he actually had to shrink runoffs here because the fans were too far away, iirc. He refers to Austin in terms of the elevation changes that you can't visualize well until you actually go to the site. Then he goes on to talk about fan proximity in terms of AHR having antiquated safety features and old runoffs that were accepted 23 years ago but aren't in line with today's standards. It was funny...back when COTA was just announced, people elsewhere who'd never even been here were adamant that it would be just another flat, boring track, because "Everyone knows Texas is flat", etc, etc. We tried over and over to tell them that the site was indeed anything but flat, but they would argue to the death that they knew better. They'd argue with me about features of the land that I'd walked 100 times to take photos of the construction. Particularly one indefatigable chap over on F1Technical. It was literally crazy. Then when the track was built and people showed up for the race, they were astonished by all the elevation change, as if we had never told them what they were going to see there. In the cases of the COTA corners I was referring to having been changed because the FIA wanted them to be slower, the proximity of Grandstands isn't an issue. None of those have grandstands are postioned in a way that they would be affected. Edited by AustinF1, 12 October 2015 - 16:22. Yeah, I'm debating it as well. I've been to all of the fan forums so far. Looks like this one will be at one of the stages on Rainey Street, so it should be a lot better space-wise than last year's cramped venue on South Congress. It may be hard to hear the guys though. Who knows. I'll probably be there. In other news, if any of you are interested in driving COTA, I just got an email about an upcoming Edge Addicts track event. I think I might do this one. 11am Kickoff announced for Texas-Kansas State football game in Austin on USGP Weekend. At least it's not on sunday. Just FYI, in case any of you will be using the shuttle service from the Convention Center to COTA, it's two-tiered this year: $10 per person for standard service, $25 per person for 'Express' service. The "Express' bus drops you off by the Grand Plaza. The 'Standard' bus drops you off out in the boonies, a 15+ minute walk away from the Grand Plaza entrance. God help you if you take the Standard bus and your seats are anywhere but T12 or 15. You're looking at a very long walk. Edited by AustinF1, 12 October 2015 - 20:07. Regular season college ball is never on Sunday. That's reserved for the NFL. It will still impact the hotels for the weekend. Yeah. Probably as much or more than the race will. And speaking of the hotels, even with F1 and the game that weekend, there are still 228 hotels available for full-weekend stays (Friday to Monday), starting at $93/night. Many are cutting their rates. Per night, starting rates are as follows..
Edited by AustinF1, 12 October 2015 - 19:28. If you're coming to the USGP, I hope you like it hot. 99F for the high temp today. Crazy. If you want the 'Standard' service, tickets are available only via online pre-order, and only through this Sunday, 18 October. After that your only shuttle option will be the 'Express' bus. Tickets for the Express bus will be available online and at the Convention Center on the days of the event. IIRC, last year the $10 tickets were available throughout the weekend at the Convention Center. Not so this year. If you want Shuttle service this year and you wait beyond the 18th to purchase it, you'll be left with no choice but to buy the more expensive $25 per person Express option. Circuit of The Americas is offering two types of daily shuttles for Formula One attendees from downtown Austin to COTA Oct 23-25. Express Service is now available for online purchase and day of event at the convention center. Standard Service is now available for online purchase through October 18th. The Standard Service is pre-order only with no walk ups or up sales available at time of transportation. Both shuttle services avoid traffic by taking the toll road, saving guests time and stress. Limited Capacity for both types of service so make your reservations today! The COTA shuttle services will pick up attendees at the Austin Convention Center continuously throughout the day. This EXPRESS shuttle option drops off adjacent to the Grand Plaza at COTA. Limited capacity available. Available online and subject to availability at the convention center. The STANDARD shuttle drops off away from the Grand Plaza at COTA, about a 15 minute walk. This shuttle option is only available on a pre-sale basis via online purchase up until October 18th. Edited by AustinF1, 13 October 2015 - 01:31. What do you wanna know? Fire away. Anything I don't know I can usually find out pretty quick. Edited by AustinF1, 13 October 2015 - 08:15. Edited by AustinF1, 15 October 2015 - 03:45.